1958 - Association for Retarded Children of Frederick County, (now The Arc of Frederick County) formally begins. 1965 - Funded jointly by The Arc and county government, Jeanne Bussard Workshop opens its doors with six people. 1966 - The Arc obtains funding from the State Mental Health Department to augment its own funds for opening of Scott Key Developmental Center. 1970 - The Arc lobbies for and assists in the planning of Rock Creek School. 1972 - The Arc obtains funding from the State to plan for residential services. 1975 - The Arc opens first residential home for eight men and women at 127 East Patrick St.
1976 - The Arc opens second group home at 301 South Market Street. 1979 - The Arc spins off its residential programs which are renamed Community Living. 1980 - The Arc convinces the Board of Education to operate a summer school program for students at Rock Creek School. 1981 - The Arc is awarded the contract to provide service coordination for Central and Western Maryland. 1982 - The Arc is awarded a demonstration grant by Maryland Developmental Disabilities Council to provide services to children to prevent their going into institutions. 1984 - The Arc develops an evaluation tool to be used by people with developmental disabilities to assess their day program services. 1985 - The Arc helps Frederick County Public Schools purchase "Kids on the Block" to help with inclusion. 1986 - The Arc is awarded a contract to provide service coordination services to individuals on the state’s Developmental Disabilities Administration Waiting List in Central and Western Maryland. 1987 - The Arc starts a support group for adults with developmental disabilities. 1991 - The Arc starts a support group for couples with developmental disabilities. 1993 - The Arc is awarded a grant to promote preschool inclusion. 1996 - The Arc and Community Living move into a joint building, partially funded from capital grant from the State of Maryland. 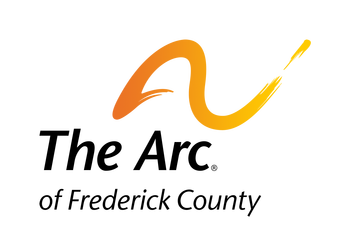 1997 - The Arc, in partnership with the state government, is awarded a national grant for self-determination, a project designed to provide people with more choices and greater control over the services they receive. 2002 - The Arc of Frederick County is awarded a contract to provide Service Coordination through the Autism Waiver in Frederick County. 2003 - "Voices Heard," a 15 minute video of personal stories told by 12 members of the Working Together Frederick County Self-Advocacy Group, is shared with the governor and Frederick County's senators and delegates. 2003 - The Arc partners with Scott Key Center to provide Cooking Classes to individuals we serve. 2003 - The Arc partners with The Arc of Maryland to form "Wallbusters," a peer mentoring group. 2004 - Transitioning Youth Forum members create transition portfolio for students ages 14-21. Portfolios will be available in every Frederick County middle and high school. 2004 - The Arc of Frederick County's Family and Individuals Support Service Programs celebrates 25 years of service. 2005 - The Arc of Frederick County's Endowment Program initiates comprehensive future and estate planning services for families and individuals. 2005 - The Arc of Frederick County coordinates Take Charge: Life Leadership, a premiere, semester long course that is offered on the Hood College campus with a curriculum in leadership tailored to transitioning youth students. 2006 - The Arc of Frederick County spins off its Service Coordination division to form a separate nonprofit now known as Service Coordination, Inc.
2006 - Only eight years after its inception, The Arc of Frederick County's Endowment Fund reaches its one million dollar goal. 2007 - The Arc of Frederick County, in partnership with the Frederick County Public Schools SUCCESS Program, initiates employment services for individuals with developmental disabilities who are transitioning from high school. 2008 - The Arc of Frederick County celebrates 50 years of service to the Frederick community. 2009 - The Arc of Frederick County expands services to Spanish speaking families in Frederick County; Hispanic Support Group is established. 2010 - The Arc of Frederick County is awarded a grant from the Walmart Foundation School-to-Community Transition project to expand LEAP at FCC and other educational opportunities on the college campus. 2011 - The Arc becomes a vendor of self-directed employment services through the Division of Rehabilitative Services (DORS). Through this model, people with intellectual and developmental disabilities hire their own skills educators to assist with enhancing their employment skills.  2011 - The Arc expands services to include offering employment and residential services in Allegany County. 2012 - In response to the closing of the Jeanne Bussard Center in July 2012, The Arc of Frederick County immediately stepped in to offer supports to many of the people who were suddenly without the services that they counted on during the day. More than 30 people and their families have relied on The Arc to support them with their daily needs, provide vocational training, and maintain their current employment in our community. 2013 - The Arc purchases 555 South Market Street with a vision to bring community together to serve people with severe disabilities, offer creative job training to prepare people for community employment, and to host social and cultural events that expand connections for people in Frederick County. 2015 - The Arc at Market Street begins serving people by offering job training in our Gluten-Free Bakery, Catering Kitchen, and Janitorial Programs. People with severe disabilities begin participating in engaging activities to work on learning skills, maintaining their health, and participating in community activities. Customized training and social activities are hosted to support people with disabilities with learning new skills and connecting to their communities.